Designed for use with binders. Heavy-gauge legal size sheet protector is strong and durable. Closed on three sides to provide maximum document protection. 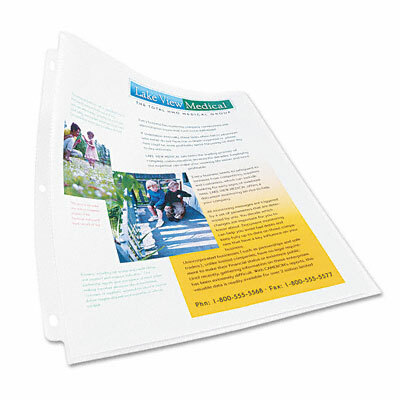 Precut holes allow you to store unpunched inserts in a binder. Suggested Use For 14 x 8 1/2 Inserts–Seven-hole punched. Suggested Use For 11 x 8 1/2 Inserts–Three-hole punched. Suggested Use For 14 x 8 1/2 Inserts–Three-hole punched.